There are two rooms in your home that need to be extremely functional in order to feel comfortable and really appreciated. Those rooms are your bathroom and kitchen. While a stainless steel over the range microwave won’t do a thing to increase your bathroom’s functionality, in the kitchen it can put all your cooking right in one spot while freeing up valuable counter space you need for preparing your meals. The Maygtag Company has been in existence for over 100 years, and the name of its company is associated in people’s minds with large home appliances, such as washers, driers, dishwashers, and ranges. So it only seems natural that one of the most popular over the range microwaves would be manufactured and sold by this company. 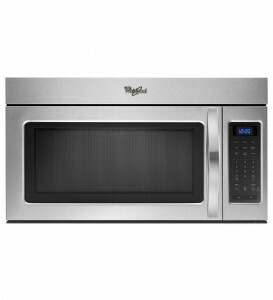 The sleek Maytag 1.6 Cubic Foot Stainless Steel Over-The-Range Microwave has plenty of features. This Maytag Over-The-Range Microwave should look great over any stainless steel range, and its large size should meet the needs of most users and their families. Unless you are good at installing appliances, you might want to think of having the microwave installed by a professional. Reviews for this Maytag Over The Range Microwave run from just over average to exceptionally good. The reason for many of the more negative reviews for this microwave is not related to this appliance’s functionality. It is rather due to shipping issues, as some of these microwaves arrived dented. While this is definitely not something that anyone wants to happen, it does mean that it was necessary to look beyond the rating numbers to discover how well this microwave actually works. Not surprisingly, many customers do like this microwave, and there are plenty of features that customers felt made purchasing this specific model worth it. A few customers did state that they wished that the revolving turntable could be turned off. But overall, a considerable number of customers were really happy choosing this stainless steel over-the-range microwave and liked how well it performed. Whirlpool is a multinational manufacturer of home appliances. One of the fortune 500 companies, this U.S. based company is known as a leading large appliance manufacturer. The Whirlpool Over-The-Range Microwave has a stylish profile and plenty of space to meet your microwaving needs. The 10 cooking levels will be extremely handy for some users. Reviews across the internet for the Whirlpool Over-The-Range Microwave run between fair and good. 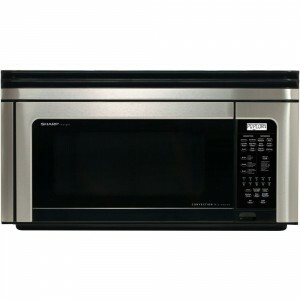 Several of the negative reviews for this microwave, as in the above product review, were due to damage to the microwave in shipping rather than a problem with the microwave itself. Therefore, it might be wise to carry extra insurance when ordering this microwave, to help ensure that your microwave arrives in excellent condition. It is worth noting that most customers did get an undamaged and fully functional microwave, and those customers were happy with their purchase. Some customers were disappointed with the limited manual that came with this microwave. But all in all, the majority of customers received their microwave in perfect condition and were delighted with their purchase. Founded in 1958, LG Electronics is one of the largest manufacturers of digital products, and the LG 2.0 Cubic Foot Stainless Steel Over-The-Range Microwave is just one of the products that this company offers. This LG 2.0 Cubic Microwave has a nice neat and sleek look, and the stainless steel of this appliance should go extremely well in any modern kitchen. Unfortunately, this microwave does not fair as well in reviews as other over-the-range microwaves in the same price range, scoring only average to barely good overall ratings across the internet. 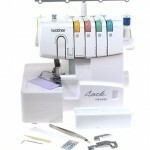 It seems that many customers have identified some problems with this appliance that they feel affects the overall quality. However, not everyone has complaints about this microwave, and a majority of customers like this appliance very much. This microwave seems to have received mixed reactions from customers, and it is worth taking everything into account before making a decision to purchase. Sharp Electronics manufactures a wide range of technological products, including LED lighting, televisions, audio equipment, and appliances. The Sharp Over-The-Range Microwave/Convection Oven is a technological savvy kitchen appliance that allows users to avail of the benefits of both a microwave and a convection oven, all in one single appliance. This Sharp Over-The-Range Microwave/Convection Oven has a really nice ultra modern look that will look nice in most modern day kitchens. But what really makes an impression, is that this is also a convection oven, which means that it would be perfect for families who are looking for added oven space for large family or holiday meals. 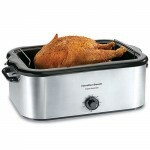 Reviews for the Sharp Microwave/Convection Oven are good overall. While over-the-range microwaves are great for saving space in most kitchens, finding the right one to meet your needs also means that your kitchen can be more functional as well.